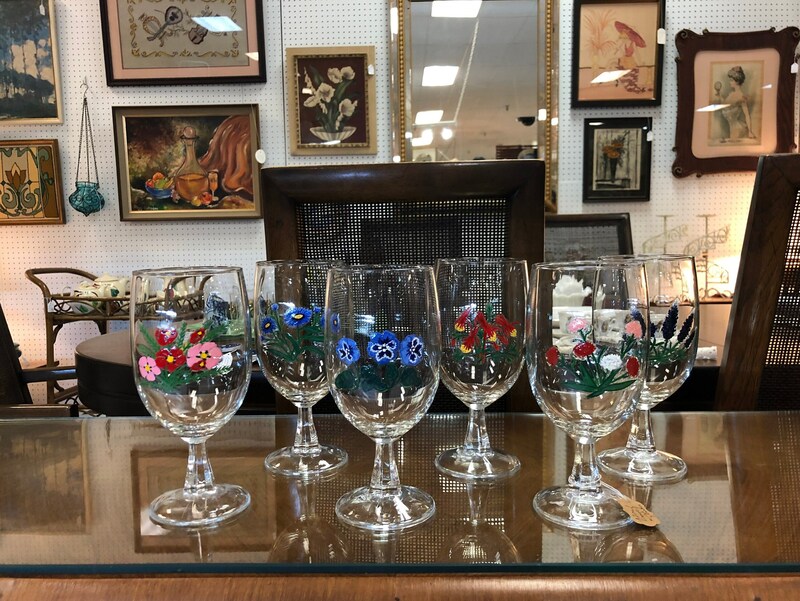 Beautiful and charming set of hand painted stemmed wine glasses with floral motif. The painted design is permanent and has been sealed to last. The set is in excellent condition. They look unused. Measurements will be posted shortly.